This question bears pondering. An article on yahoo seeks to make it a rhetorical question in an article entitled, Meetings Make You Stupid. While concluding that "some meetings are necessary as a means of getting information out to a large number of people at once," it makes a strong argument in favor of allowing educated, well-trained, motivated, and intelligent people to work alone for better creativity and results. What prompted this question was a MSNBC article (Meetings make us dumber, study shows Brainstorming sessions backfire when group thinking clouds decisions) that reported on the results of a study in which social scientists "exposed study participants to one brand of soft drink then asked them to think of alternative brands. Alone, they came up with significantly more products than when they were grouped with two others". Once again, at least until next Sunday, you can watch instead of read this homily on the Intermountain Catholic's "Broadcast of Mass from the Cathedral On Demand" for free and without registering. However, if your are a subscriber, why not register? If you are a Utah Catholic and not a subscriber, why not? One question that bears asking in light of today’s Gospel, is the question Was Jesus free? Did he have real alternatives and choices? Or, “had everything been decided for him in advance, only to be played out as a faithful reflection of God’s eternal choice?” The answer to this question makes a big "difference to the picture we have of Jesus and how we follow him" (To Follow You, Light of Life, pg. 13). It is important to point out that the Church has given our question a definitive answer: "without a shadow of a doubt Jesus was indeed endowed with human will and freedom . . . he was a free person who chose his future under no constraint, and who accepted and took upon himself all the risks involved in freedom." In this we see that Jesus was able to say no to the Father’s plan and follow another path of his own choosing. Thankfully, he did not abuse his freedom in this way. "We have," writes the author of the Letter to the Hebrews, "one who in every respect has been tested as we are, yet without sin" (Heb 4,15). It is precisely because of his true and honest exercise of freedom that Jesus "broke the hold exercised by sin and" brought about new life (To Follow You, Light of Life, pgs. 13-14). This is why St. Paul, in our second reading from Ash Wednesday, can write: "For our sake [God] made him to be sin who knew no sin, so that in him we might become the righteousness of God" (2 Cor 5,21). Jesus knew "the risk and struggle involved in being free." He was really tempted and had the freedom to choose what he would do in the face of temptation. This brings us to today’s Gospel which tells us of our Lord’s forty days in the desert prior to inaugurating his public ministry. Despite the clear understanding of the faith on the matter of his freedom, Jesus’ temptations in the desert are still often interpreted as a kind of didactic moral lesson along the lines of "the Lord showed us how we should overcome temptation – but without really being tempted himself." Such a reading of Christ’s temptations tries to avoid the diminution of his divinity. Just as we tend to shrink back from an orthodox understanding of the Blessed Trinity by our refusal to come to grips with the real distinction of persons, thus remaining in the words of Fr. Karl Rahner "mere monotheists," as opposed to full-blown Trinitarians, for which Christian is the more familiar name, we tend to slight Jesus’ humanity out of fear of diminishing his divinity. Such an interpretation of this narrative deprives it of all seriousness and meaning, as it sees our Lord as merely going through the motions for the very stale purpose of giving us a moral lesson, without taking any risks himself. If such were the case, Jesus’ story would not be a truly human story, but – as philosopher Jacques Maritain might say – a "parody of humanity" (To Follow You, Light of Life, pg. 16) and would be powerless to break the hold of sin on real human beings, like you and me, thus emptying the mystery of the Incarnation, to which we bow each time we recite the Credo, of any meaningful content. We must never forget that "Christ does not save us from our humanity, but through it" (Pope Benedict XVI, Christmas 2006 Urbi et Orbi). In St. Luke’s account of our Lord’s experience in the desert, his three temptations are paralleled with the temptations of Israel during the other scriptural event that we also see as being relevant to this holy season, their forty year sojourn in the desert in route to the Promised Land. Jesus redeems the sins of Israel by freely rejecting sin while professing faith in God. In the books of Exodus (chapter 16) and Numbers (chapter 11) we read about Israel’s hunger and their grumbling against God, to which the Eternal One responds with the gift of manna. This, of course, corresponds to the devil’s invitation to Jesus to turn a rock into bread (Lk 4,3). Jesus responds to this temptation by quoting from the Torah, "one does not live on bread alone" (Deut 8,3). The second parallel comes with the devil’s invitation to Jesus to replace the true and living God with an idol, like Israel’s golden calf (Exo 32), when the devil tells our Lord that he will give him "all the kingdoms of the world" if he will but worship someone other than God (Lk 4,7). Again, Jesus responds with a quote from the Law: "You shall worship the Lord, your God, and him alone shall you serve" (Deut 6,3). The final correspondence is between the devil’s demand that Jesus hurl himself off the parapet of the Temple for the purpose of calling down angels to rescue him from what would be a foolish and arrogant choice and Israel’s protest at Massah about being thirsty, which led Moses to sin by putting God to the test and calling forth water from the rock. This precipitous act precluded Moses from entering the Promised Land (Exo 17,1-7; Num 20,2-13). Jesus responds to this final temptation with an admonition directly related to the episode at Massah: "“You shall not put the Lord, your God, to the test." (Deut 6,16). In all this we see that Jesus really and truly experienced temptation’s seductive pull. He certainly knew the fascination of the political and worldly messianism of his time, encountered among his people as he shared their suffering under Roman oppression. Such political and worldly messianism is not limited to first century Jews, however. Indeed, beginning at the end of the nineteenth century and continuing throughout the twentieth until today, many have tried to demythologize the Good News that is Jesus Christ, by reducing him to a worldly, or existential Messiah. Reflecting on these three temptations, we come to see that there is really only one temptation from the beginning of time. It is the temptation that seduced the first Adam, tripped up Moses and Israel, and has bedeviled you and me: the temptation to trust in oneself and the power of the world, to be “like” God in our own right, instead of trusting in God in his manifest "weakness." This reality, which we experience daily, forces us to make a radical decision posed by St. Augustine in this way: "love of self until God is forgotten, or love of God until self is forgotten" (De Civitate dei, 14.28). My dear sisters and brothers, may we always remember that the “Church's mission is not an addition to that of Christ and the Holy Spirit, but is its sacrament: in her whole being and in all her members, the Church is sent to announce, bear witness, make present, and spread the mystery of the communion of the Holy Trinity"(Catechism of the Catholic Church, no. 738). Hence, during these forty days we should be fully conscious that we are called to renew our covenant with God, through Christ, into whom we entered at baptism, and who gives us our sacramental identity by the power of the Holy Spirit. Lent is also a time of intensified prayer for and preparation of our Catechumens and Candidates, who later today will be enrolled among the Elect and called to continuing conversion as they make their way toward Easter. So, it is to that covenant we look on this first Sunday of Lent and hear God, speaking through the Church, asking each one of us, in imitation of our Lord in today’s Gospel: Do you reject sin so as to live in the freedom of God’s children? Do you reject the glamour of evil, and refuse to be mastered by sin? Do you reject Satan, father of sin and prince of darkness? (Rite of Baptism). Let us, like Jesus, use these forty days to anchor our freedom with the truth and at Easter respond with a resounding “Yes!” in the confidence that no one who confesses Jesus as Lord “will be put to shame” (Rom 10,11). I will post my homily from yesterday later this afternoon, but in the meantime, I cannot help but point you in the direction of the coolest thing I have read in awhile. As usual, this comes from Rocco over at Whispers, the post, about the Bavarian supremo of Sant'Anselmo, who is also the abbot-primate of the worldwide Benedictine Confederation, Dom Notker Wolf, entitled AP/DC. Whatever you do with me, I thank you. I desire nothing else, my God. Because you are my Father. Amen." Such is true freedom. As Archbishop Bruno Forte writes: "As disciples of the One who is truly free, Christians will exert every effort to nourish the experience of freedom within themselves and in the world in which they live, by their prayer and their whole lives, without expecting immediate results or the approval of others. Those who are truly free for the Father know how to take account of the unknown; that is, they believe beyond every possibility in the impossible possibility, which the freedom of God, revealed in Christ Jesus, has promised to history. Those who are truly free testify that this freedom, even when it appears to have been defeated, is worth living for and is contagious and liberating, because, like the freedom of Jesus, it is the revelation and gift of a greater mystery." Karl Cardinal Lehmann, bishop of Mainz, Germany told the German magazine Bild the day after Ash Wednesday that Lent requires Christians "to rethink our lifestyle". Getting more specific about ways that Christians today need "rethink our lifestyle", Cardinal Lehmann said, "Far too often, we do things that are harmful to our fellow citizens and the environment". He goes on to call on Christians to "use Lent to make a personal contribution to improving our climate". Specifically, Cardinal Lehmann calls on us to to rethink our transportation habits, especially the purchase and use of vehicles, which are among the leading emitters of carbon dioxide into the atmosphere. Here along the Wasatch Front, I was happy to learn yesterday that the Salt Lake City to Pleasant View portion of the Wasatch Front commuter rail is 65% complete. When complete, the rail line will run from Pleasant View in the North to Provo in the South. Once the northern portion is complete and begins operation in the Spring of 2008, work will begin on the southern half of the line. Yesterday saw the first Frontrunner locomotive, one of the engines that will pull the commuter trains, arrive in SLC. Commuter rail gives us more transportation options and reduces the amount of time we spend stuck in traffic. It is estimated that initially there will be 5,900 riders per and day within 10-15 years that number will go up to 12,000 per day. If enough people use it air quality along will surely improve. What is also nice is that commuter rail, due to the foresight of the UTA in purchasing rail rights of way, will have its own tracks and not share commercial tracks. This makes our commuter rail both safer and faster. As the good cardinal, who is also head of the German Conference of Bishops said, building on the Holy Father's remarks to the Swiss bishops last fall during their ad limina visit, in which he said stewardship of the environment is an authentic part of the Church's proclamation, "Preserving creation is a duty which falls to all of us". I also take this opportunity to direct readers to an earlier post regarding suggestions on environmental stewardship. Today's post is derived from His Excellency, the Most Reverend Robert C. Morlino, bishop of Madison, Wisconsin. Bishop Morlino builds on a number of themes brought up yesterday, thereby setting a good tone for Lent. He begins by addressing the crucial relationship between freedom and truth: "The Season of Lent is God's gift during which we ask for the strength to purify our hearts, to control our desires, and to serve the Lord in freedom. Lent is a time for thinking and praying about freedom and examining our conscience as to its use. Pope John Paul the Great said wisely that freedom is not the ability to do what I would like to do or what I feel like doing, but rather the ability to do what I ought to do, the ability to do what is good. Freedom is created to realize what is truly good, and so freedom is always a faithful partner of truth." He goes on to use embattled state of matrimony as an example of how freedom not oriented to the truth leads to confusion and a further weakening of our society and ourselves. "In our culture," Bishop Morlino continues, "we frequently take the incorrect definition of freedom." We erroneously conclude that if we are free to do something that we have a right to do it. In other words, emotivists that we have become, we think that we have the right to do whatever we feel like doing. The good bishop rightly concludes that this "is a very impoverished notion of both freedom and of human rights. Freedom's partnership with truth means that freedom follows the natural law, the law of reason." His point is ultimately that "all the education in the world does not give us a heart rooted in Christ. Prayer, along with works of penance and charity, form the core of our Lenten observance. When we receive ashes . . . we are telling the Lord, we are telling the faith community by this public gesture, and we are telling ourselves that our Lenten observance will include more prayer, more works of penance, and more works of charity. "Sunday Mass and Mass on at least one additional weekday, perhaps Friday, would be the best place to start for those who do not attend Mass on weekdays. "Secondly, the reception of ashes would be a public statement that I intend to make a good confession during the Season of Lent and receive the wonderful graces of the Sacrament of Penance, at least once, but more than once as might be necessary or helpful. "The attendance at Lenten devotions - the Stations of the Cross - would also be very much in order, and of course very importantly, time spent in prayer before the Lord's presence in the Eucharist in the tabernacle - that prolongation of the Mass through meditation is always most appropriate. It is my hope and prayer that this year's Lenten journey will bring all of us closer to Christ and strengthen us in holiness." I encourage you to read Bishop Morlino's article, entitled Lent: A time for spiritual exercises, works of mercy, in its entirety. Once again, to Rocco, mille grazie, for bringing this article to my attention. Now that the smoke and ash from yesterday have cleared and our communal entry into Lent is over, are you ready for Lent? May I ask, What are you doing for Lent this year? Well, tomorrow marks the first Friday of Lent. Fridays of Lent are the only Fridays on which traditional abstinence is obligatory on the faithful in the United States, though abstaining is still expected, recommended, and highly encouraged on all Fridays throughout the year, except when a solemnity falls on a Friday (Can. 1251). All this I have covered in detail in a previous post: I'll have the filet o' fish with no tartar sauce, please. Canon Law still holds that among the penitential days in the universal Church "are every Friday of the whole year and the season of Lent" (Can. 1250). On days of abstinence we are to abstain "from meat, or from some other food as determined by the Episcopal Conference". In the U.S. the meat of flesh (i.e., warm blooded- red meat and poultry) animals is that from which we abstain. If not observed, it should be replaced by a penitential or charitable act. Ideally, abstinence from meat should be combined with intensified prayer and alms giving. As mentioned previously, abstinence "and fasting are to be observed on Ash Wednesday and Good Friday" (Can. 1251). Abstinence binds all the faithful "who have completed their fourteenth year". Whereas, fasting "binds those who have attained their majority, until the beginning of their sixtieth year". According to this same canon, pastors and parents, who are the primary catechists of their children, are to ensure that the baptized who are too young to be bound by the law of fasting (most everybody can easily abstain from meat a day a week, even very young children and older people) "are taught the true meaning of penance" (Can. 1252). Of course, people with health conditions that do not allow them to observe fasting and I suppose, in some rare cases, abstinence, are exempt from these laws. As Deacon Owen Cummings recently pointed out, our penitential acts are not acts of masochism, self-torture, or even self-inflicted punishment. Such an understanding is psychologically and spiritually harmful and theologically unsound. All of this is quite legalistic, which is utterly insufficient for spiritual growth and maturity, together and individually. No argument has less appeal than "The Church says so". Besides, such an argument, on its own, constitutes a fallacious appeal to authority. Christ has never required blind obedience of his followers. If you do not believe me, read any of the four Gospels and pay close to attention to the relationship between Jesus and the twelve. As St. Paul observes, legalism kills (2 Cor 3,6). Furthermore, legalism guilts, shames, puffs up, and causes division. It is bad news! This is not what God, our loving Father, asks or expects of us. In our God-given freedom, we remain free to ignore such requirements of faith. If they are observed only out of a sense of legalistic obligation, they are best ignored. Practicing these disciplines taught us by our Master, does not enroll us among the spiritual elite and give us divine approval to look down on those who do not perform these works. Practiced in this way our Lord tells us in the Gospel of Ash Wednesday, we have our reward. Besides, heaven knows we ignore weightier matters of the law of love on a daily basis! What is important is that we not observe these requirements out of a mere sense of obligation. We, too, must understand "the true meaning of penance". Fasting and abstaining have both a horizontal and a vertical dimension, which makes them cruciform, thus teaching us the true meaning of penance. Understood horizontally, fasting and abstinence, at least for us in wealthy countries, like the U.S., and also among the well-off everywhere, must be united to alms giving and acts of charity. In his encyclical, Populorum Progressio, Pope Paul VI writes: "The hungry nations of the world cry out to the peoples blessed with abundance. And the Church, cut to the quick by this cry, asks each and every man to hear his brother's plea and answer it lovingly" (PP, 3). Is this true? Are we "cut to the quick" by the hungry? Do we even hear, let alone answer, the pleas of our hungry sisters and brothers, whose number is horrifyingly high in our world of over six billion souls? Cutting to the chase and making this simple, do we take what we would honestly spend to feed ourselves and our families and contribute it to those who are hungry, thereby acting in solidarity with those who have not, or, more accurately have naught? By this is not meant pitching spare change into the poor box at the back of the Church, or a few pennies into our Operation Rice Bowl boxes on our kitchen tables. Let me be clear, in no way do I want to denigrate either of these two easy and wonderful ways of giving. What I want to communicate, is that giving the way we should means putting into either of those two boxes, or giving in other ways to the innumerable agencies, local, national, and international, that assist those who do not enjoy the advantages we enjoy, something approximating what I do not hesitate to call the proper amount. It is an opportunity for us to get real about what we consume and how much it costs. If we are in the habit of purchasing a gourmet coffee and a muffin each morning, and eating a $5 to $10 lunch, as well as spending $10-15 to feed ourselves and our families at supper, let us not hesitate to contribute the $25-$35 we do not spend by fasting or abstaining. The words of our Lord certainly apply to our material as well as our spiritual lives,"much will be required of the person entrusted with much" (Lk 12,48). In the vertical dimension, times of fasting and abstinence, in addition to being times of giving of our time and resources, should also be periods of intensified prayer, during which we make a concerted and deliberate effort to draw closer to our crucified and risen Lord, Jesus Christ. Lectio divina, using the Gospel for that day's Mass is a wonderful way to do this. It is also a good time to undertake a thorough examination of conscience in preparation for celebrating (Yes, celebrating) the sacrament of Penance, which calls us to be people of reconciliation in and for the world, beginning in our parishes and homes, extending to our places of work and beyond. 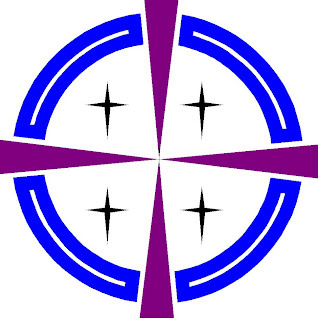 In this way, as Christ's Body, we participate in opus Dei- the work of God, which through Christ, with Christ, and in Christ, in the unity of the Holy Spirit reconciling the world, restoring the communion, the original grace, which is the very purpose of our existence; restoring agapé between God and people, between people(s), and between people and nature. I am happy share but one fruit of my retreat this past weekend, from which I just returned home. The other fruits will be shared on Good Friday during the Seven last Words, after the Good Friday Service at noon. The first fruit is: Standing on the threshold of a holy season. With much gratitude and love to the Blessed Sacrament Community of Albuquerque (J.T., my Spiritual Director, friend, guide, and mentor, Fr. Robert Lussier, SSS, "Sparky," the midnight dessert scarfer, and Brother Peter, who, as an Irishman, exudes the "requisite Celtic spirit", and whose delicious cooking made my retreat truly pre-Lenten, as well as Tomás, who, like me is a son of St. Peter Julian, born, as was St. Paul, out-of-season) and the wonderful parish community of St. Charles Borromeo. As always, I express my humblest gratitude to my lovely wife, who, I am convinced, is the only woman who could be married to me. She knows everything about me and (inexplicably) loves me anyway. She daily shows me, a person who understands the importance of love, but does not yet love as he should, Christ. She is, among many things, my teacher. I thank my four beautiful children, who, along with their mother, are the surest signs of Christ's presence in the world for me. I also thank our Blessed Mother, St. Peter Julian Eymard, apostle of the Eucharist, as well as my patron, St. Stephen, whose eternal rest, I am certain, is often interupted by his having so recalcitrant a charge. As always to God be all praise, glory, and honor! In a word, a Greek word, latria. The time has come for what usually works out to be my bi-annual retreat. 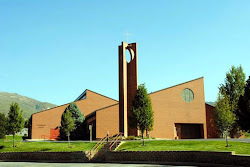 I am leaving Saturday for Albuquerque to make my retreat at St. Charles Borromeo Parish (pictured to the right), right off the campus of UNM. My hosts, as always, will be the fathers and brothers of the Congregation of the Blessed Sacrament, to which my Spiritual Director, who is also pastor at St. Charles, belongs. He is also one of the most beloved people in my life, a person who shows me Christ by knowing, truly, everything about me and loving me (inexplicably) anyway. I am most grateful for the Congregation's hospitality and on-going goodness to me. Over the years I have been so very blessed by this wonderful religious community, beginning with the man who was my first Spiritual Director, the late Fr. Maurice Prefontaine, SSS, a tireless confessor, who exemplified all a priest should be, he was a priest through-and-through. I am happy to be able to go on retreat just before Lent. I look forward to renewing acquaintances and strengthening bonds of friendship, as well as undergoing some self-examination and reflection, which, after a busy season of ministry, I really need. I also plan to relax and enjoy some great food, companionship, and at least one film, and perhaps a side trip to Santa Fe, one of my favorite places on earth. So, I humbly ask for your prayers as I approach these three days. Of course, there will be no blogging during the weekend. Given my recent flurry of activity, it will give readers a chance to get caught up. So, until at least next Tuesday, via con Dios- Go with God. Please, plan and prepare to observe the holy season of Lent. 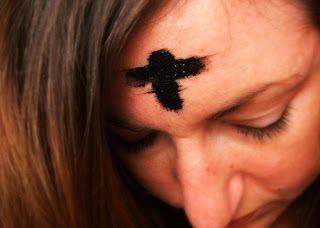 Upon my return next week, I look forward to observing Ash Wednesday at the Cathedral. Ash Wednesday, which marks the beginning of Lent, along with Good Friday, is the only obligatory day of fasting and abstinence our Holy Mother, the Church, levies on us. Then, on Thursday, in lieu of the Feast of the Chair of St. Peter, I look forward to celebrating the Solemnity of the Dedication of the Cathedral, which we celebrate on the date of the re-dedication of our lovely Madeleine, which occurred 21 February 1993, not 15 August, the date of the Cathedral's initial dedication- in liturgical law, a solemnity trumps a feast, but it is only a solemnity at the Cathedral. Due to Ash Wednesday, this year it is pushed back a day to 22 February. Besides, 15 August is the Solemnity of the Assumption of our Blessed Mother, Mary. "The eight images are done by a local and nationally known artist, Ruben Gallegos, in the New Mexican 'santos/retablos' style. Each icon, or Station of Eymard, is one of a kind, made out of wood, carved and painted artistically in the New Mexican style, and approximately two feet by two feet in size. The White House has honored Ruben, for his other works and again this year, will be sharing his talent with another project." "Tomorrow will be too Late: Peter Julian with his sisters, leaving them to do ministry, donated by Consuelo & State Rep. Fred Luna of Los Lunas, NM (Completed May 20, 2005) In the background, is the Tome, New Mexico, and this sacred hill. Peter Julian would visit his sisters in Le Mure, France between preaching and other assignments. His sisters would request for him to stay longer. He would tell them that he needed to do ministry for the Lord. 'God calls me now, tomorrow will be too Late.' The Luna family has a ranch in Los Lunas, New Mexico (the city is named after the family) where they have many animals, especially horses on their farm." It was St. Peter Julian who said, writing about the disciplines of the Christian life: "People are afraid to be powerless and so are off their path. We are neither natural nor supernatural. What can we do? Follow grace. Let the mind become accustomed to the truth which God’s grace is offering. It takes a week or two for a truth to become natural and habitual, but we must make it the center of our piety and let everything converge toward it." Like our beloved Bishop Scanlan, St. Peter Julian endured hardships of both body and spirit that most of us in our day, age, and culture simply would not bear. "At the Congregation for the Doctrine of the Faith, the cardinal-prefect elevated through the ranks the Belgian theologian Marie Hendrickx. In a Curia whose heights are overwhelmingly dominated by clerics, Hendrickx is currently the highest-ranking laywoman in any dicastery and the second-ranking layperson overall, after Dr Angelo Scelzo, the undersecretary of the Pontifical Council for Social Communications. However, though Scelzo enjoys "superior" status as the his office's #3 official, given the purview and prestige of the CDF -- to say nothing of her personal ties to her boss of two decades -- the case could well be made that Hendrickx, who wrote a celebrated 2001 piece in L'Osservatore Romano protesting animal cruelty, is the most influential layperson in the Curial bureaucracy." The post also contains a complete translation of the entire catechesis given by the Holy Father at yesterday's audience. I received this e-mail a few weeks ago from one of our RCIA Candidates, who grew up Lutheran and is in the process of being fully initiated into the Catholic Church. The response is from the secretary of the Lutheran Church at which he was baptized and, as you will see, confirmed. I have edited it a bit, as I don't want it to be an embarassment to anybody. I use it, of course, with the permission of the man who sent it. "Hello, and Welcome Home (I'm Catholic) - we're delighted to receive you. I did find the record of your Confirmation, Oct. 4, 1970, but all we have is a page in the record book, nothing fancy. I'll send it to you, but are you aware that the Lutheran Church does not regard Confirmation as a sacrament, but more as a move to adulthood? They might want you to receive the Sacrament of Confirmation (it's not hard!) when you officially join. "Have you ever watched EWTN - 'The Journey Home'? It presents the faith journey of people who have come home to the Catholic Church, whether through conversion or 'reversion'. I've been Catholic all my life, but I find it very helpful in my own life. "I'll get the record sheet into the mail on Monday - I'm off tomorrow. I wish you all the best." The joy and goodness of Pope John Paul I radiates from this footage, taken the very night he died. His pastoral goodness and solicitude, as well as his humble obedience were shown in the post Pope John Paul I on "this most delicate matter" . It is ironic that someone in the crowd wishes him long life, which he humbly dismisses and seems a bit embarassed by. Of his all too brief papacy it was said: "God knew we needed a smile". What a mission entrusted to such a faithful servant! 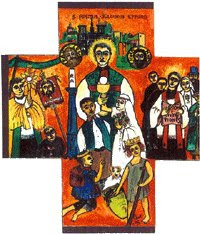 The man who promised his father, a socialist activist who was somewhat at odds with the Church, in order to enter the seminary, that, as a priest, he would not forget the poor. "I am asking you a grace, my Lord. I would like you to be nearby me when I close my eyes on the earth. I would like you to hold my hand in yours, as a mother with her child in the hour of danger. Cathleen Kaveny, who teaches law and theology at the University of Notre Dame, is also a frequent contributor to Commonweal, as well as a blogger on the dotCommonweal blog. For those people committed to binary and linear thinking, Commonweal is something of the polar opposite of First Things. For myself, I subscribe to and read both. I also frequent both blogs. Binary thinking, which is best characterized as either/or thinking because it turns everything into a (an almost always false) dilemma, is quite foreign to Catholic thought. Such thinking is for those who cannot reconcile having faith, which is a gift from God, with not having the answers to all life's persistent questions. It also diminishes life by not, as St. Igantius of Loyloa urges us, seeing God in all things. What is forgotten, or set aside, in this cognitive schema is our very understanding of the faith as the mysterium fidei, which also makes it the mysterium tremendum, or the overwhelming mystery. It overwhelms us because we cannot take it all in. No matter how hard we try, ambiguities and cold-hard, complex reality remain and often resist our attempts to make our experiences fit into our ready-made categories. Is this to argue away the objectivity of truth or the claim it makes on us? 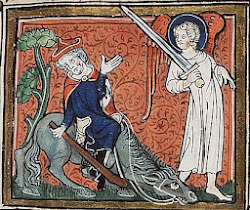 As St. Paul might answer such a rhetorical question put to himself, No! It is, however, to be somewhat circumspect about our apprehension of the truth. To paraphrase President Lincoln's Second Inaugural Address, we see the truth as God gives us to see the truth. Or, as von Balthasar observed: Truth is symphonic. So, perhaps the musical point and counterpoint best describes the relationship between these two fine Catholic publications, at least it does for me. "In Romans 8:22, St. Paul says that the 'whole creation has been groaning' while awaiting redemption. He wrote these words as an evangelist addressing the fledgling church in first-century Rome, but they might just as easily have been written by a current film or television critic. Like Paul’s Roman audience two millennia ago, American society is deeply engaged with the question of whether-and how-human beings can be redeemed. Many of us aren’t sure the question has a positive answer. And in America, such pessimism expresses itself most visibly in popular culture. I want to justify this claim by discussing the Emmy-winning HBO series The Sopranos, which will begin the second half of its sixth and final season in April. 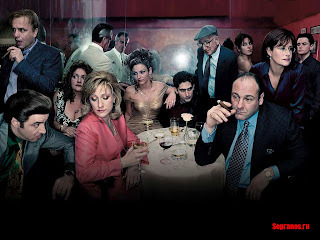 The Sopranos centers on the life of fictional New Jersey mob boss Tony Soprano. Although its violent subject matter and coarse language will shock the faint of heart, it is easily the best series on television, both a popular and a critical success. The show’s complex characters and sharp dialogue have attracted a wide variety of attention over the years. The online magazine Slate has sponsored forums of psychotherapists and mob experts offering their reflections on the weekly episodes. A Sopranos Family Cookbook has been a big seller. And no television show has explored more relentlessly-or more compellingly." After introducing and giving the necessary background, she begins her analysis with a section on "Fate & moral failing" before moving to therapeutic redemption and twelve step redemption before with an exploration of the Soprano's underworld. Enjoy! Last month I wrote and uploaded a post on House Speaker Nancy Pelosi in which I discussed her daughter Alexandra, who is a documentary filmmaker. Alexandra's latest documentary, now playing on HBO, is entitled Friends of God. In this documentary, the filmmaker visits only states that President Bush carried in 2004, so-called Red States, and interviews what is, by all accounts, a core Republican constituency, Evangelical Christians. "Pelosi isn’t a liberal out to get us. Although from a branch of Catholicism that is incomprehensible to many of us [Evangelical Christians] (she describes herself as coming from a religious Catholic family where everyone went to Catholic school but 'we were never told gay was wrong, or abortion was wrong, or evolution was wrong'), she told the Advocate, the country’s leading L[esbian]G[ay]B[isexual]T[ransgendered] news outlet, that she has nothing but admiration and respect for Evangelicals. 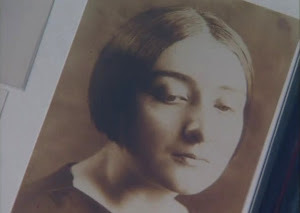 Although part of that admiration comes from her sense of Evangelical leaders’ ability to mobilize large numbers of people for political purposes (I think she still sees us as rather like Bolshevik cells), much of her admiration comes from her growing sense of the importance of faith in her own life. "She and her husband had their first child in November, and, having left the Church, she’s expressed her intent to come back to it. And when asked about the 'culture wars,' Pelosi said [to the Advocate no less], 'If I have to take a side in the culture wars, I would choose their [the Evangelicals’] side. As long as Britney Spears, Paris Hilton and Lindsay Lohan are on the front page of the magazines, I would much rather my child be in church with Jesus than at a Britney Spears concert.'" In Alexandra's moving back toward the Church, one can see nothing but a movement of grace! Happy Valentine's Day to one and all. No, this is not a liturgical observance. However, it does give many of us the opporunity to regain the 5 lbs we have lost since the end of Christmas. Enjoy. I am not posting anything today except this request for everyone to pray for the victims of last night's shootings at Trolley Square and their families. For those of us who live in Northern Utah, Trolley Square is a place we have all been many times, either to shop, go to the movies, have meal, or a beer in The Pub. Last night an eighteen year-old young man, wearing a trench-coat entered the mall and calmly started shooting people with a shot-gun and a handgun. He killed five people before being shot and killed by police, including an off-duty Ogden City policeman, who happened to be in the mall at the time of the shootings. Let our hearts and prayers go out to the victims and their families and, as difficult as it is, to the obviously disturbed killer. Of course, we should all always be thankful to the men and women who daily walk the thin blue line, putting themselves at risk to keep us safe. Holy Mary, Comforter of the Afflicted - pray for us. Significantly revised and hopefully clarified a bit. Apologies to Carol. Sometimes my reading too much Heidegger and von Balthasar really shows. Heidegger was my Plotinus before converting. I was only able to reclaim something of this effort by reading theologian John Macquarrie, who, along with Edward Robinson, was the first to translate Heidegger's magnum opus, Sein und Zeit, into English under the literally translated title Being and Time. By the way, there is another synchronous moment regarding Macquarrie, which I will share at a later time. My first entry into the work of Macquarrie was reading was his 1993-94 Hensley-Henson Lectures, entitled Heidegger and Christianity, around which the acausal connection occurred (we can probably baptize it as good old-fashioned Providence). Heidegger, to digress, believed he had reclaimed metaphysics both from the Greeks from Plato on and the corruption of the Latins, most particularly clearing the way for consideration of the question of being, which he phrased simply as Why does something exist rather nothing? 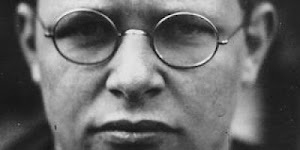 While something of a prideful obscurantist, not to mention a Nazi collaborator, he had some tremendous insights and made a significant contribution to Philosophy, though less than other Phenomenologists, like Husserl, the father of Phenomenology, and the great Dietrich von Hildebrand, not to mention the brilliant Polish philosopher, Karol Wojtyla. Among the others who are/were self-described phenomenologists are both Edith Stein and Joseph Ratzinger. "You will know/Sychroncity/A phone call/A star fall/It joins all/Synchronicity" . . . after writing yesterday on the spiritus mundi, I was reading the second of two epilogues to Peter Brown's updated biography of St. Augustine, Augustine of Hippo: A Biography, which he first published in 1967. A new edition was published by the University of California Press in 1999. The biography was not revised, but the new edition does contain these two epilogues. The first epilogue takes account of re-discoveries of long forgotten-about texts by this magisterial Father of the Church, namely the so-called Divjak letters, which are 27 lost letters of Augustine. They were re-discovered by Johannes Divjak, who was participating in a project to catalogue all known Augustine manuscripts in the libraries of Western Europe in 1975. Divjak re-discovered these texts in the Municpal Library of Marseilles, France. The second major re-discovery occurred in 1990 and was made by Francois Dolbeau in the Municipal Library of Mainz, Germany. This second trove of texts consists of twenty-six sermons of the Bishop of Hippo Regius that had been similarly lost. The second epilogue is Brown writing about how his views on St. Augustine have matured over the more than thirty years since he published his biography as a young man. It is from this epilogue that we read about Augustine and his relationship, or take on, the ancient concept as articulated, not so much by Plato, but later Platonists, or Neo-Platonists, foremost among whom is Plotinus, of the spiritus mundi. Brown's exposition serves as a great example of why Augustine is not an unreconstructed Platonist, as he is too often believed, written-about, and taught as being. Put simply, all this great saint's views after his conversion were refracted through the prism of his Christian faith and his engagement with Sacred Scripture. As to Augustine and the spiritus mundi, Brown writes of his "extraordinary capacity to construct from his reading of Neo-Platonic material an entirely new sense of the inner life". Augustine's entirely new sense of the inner life, however, was "achieved at a cost". What, exactly, was this cost? The price paid, on Brown's view, is that Latin Christianty's foremost expositor "allowed the Platonic sense of the majesty of the cosmos to grow pale". Lost in his "preoccupation with the human will", Augustine "turned his back on the mundus, on the magical universe in later Platonism". For late Platonists the universe was "suffused with spirit and crowded with rank upon rank of invisible, loving presences". So, this understanding of the universe, though rejected, "remained always on the margin of Augustine's thought". Think of it as kind of a metaphysical house-cleaning. 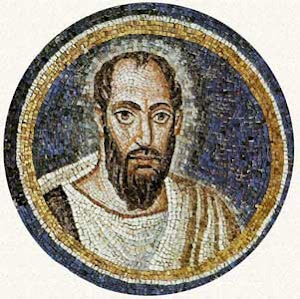 Perhaps taking his cue from St. Paul, Augustine was "convinced that the order of the mundus reminded human beings of the wisdom and power of their Creator". "But," Brown continues, no doubt exaggerating about the matter, "Augustine would never," like Plontinus, "look up at the stars and gaze at the world around him with the shudder of religious awe". Cutting to the chase, he "viewed the Platonic notion of a World Soul, a majestic anima [read spiritus] mundi that gave life and vividness to the entire realm of nature as uninteresting and basically unnecessary speculation: if such an entity existed at all, all that mattered was that it should not be worshipped instead of God. That was all that needed to be said on the matter". I hope the tasty irony in this post is seen between the connection of events (i.e., writing that the first Latin phrase I learned was from this same Police song, namely, spiritus mundi and reading about it a day later in Brown's book) and the subject matter (i.e., Augustine's rejection of the ancient concept spiritus mundi). It seems as strange as von Balthasar writing the introduction to Valentin Tomberg's Meditation on the Tarot. Before launching in to Roxanne, Sting began with the words: "Ladies and gentlemen, we are The Police and we are back." Let's hope for a SLC date! 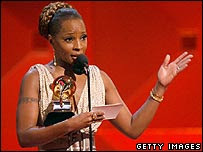 By the way, isn't Mary J. Blige just gorgeous!? For those of you who know me, you know I rarely watch, let alone get excited about anything on television (films/movies are a different story). 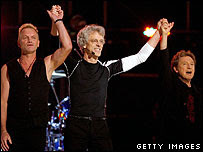 However, I am really stoked about The Police reuniting at tonight's Grammy Award ceremony. 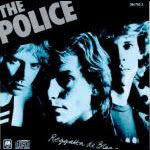 The picture accompanying this post is from the very first Police album I ever owned, Regatta de Blanc, which featured such classic songs as Message in a Bottle, Can't Stand Using You, and lesser known classics such as It's Alright for You. I still know all the words to their songs by heart. I just can't wait to see Sting, Andy, and Stewart playing together again. 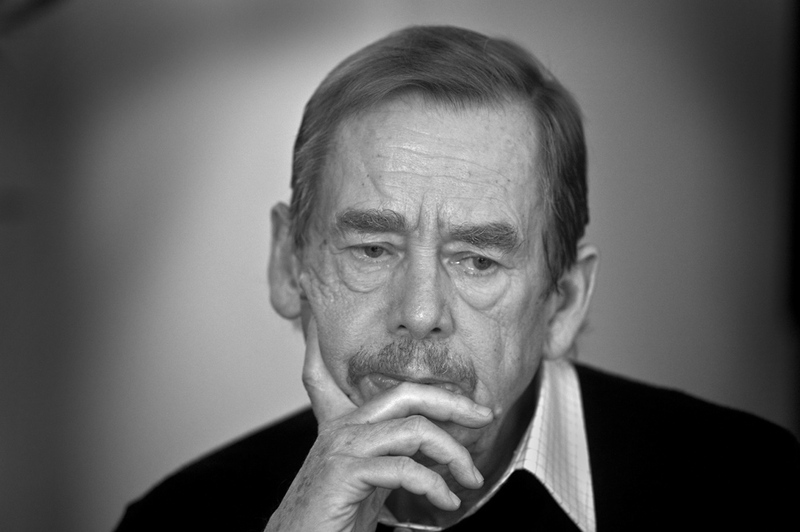 I have to attribute their Ghost in the Machine album, which was inspired by Arthur Koestler's book of the same title and which included the song Spirits in the Material World, which is a great take on some implications of Rene Descartes' philosophy as articulated in his Meditations on First Philosophy, to my desire to study Philosophy academically. In this age of mP3 and digital music, the concept of an album that explores a theme, like Ghost in the Machine and, later, Synchronicity, gets lost. Hearkening back to my post, As we prepare to observe the Incarnation of the Son of God, Part II, the music of The Police, Rush, REM, along with some more obscure groups, helped form me and my consciousness. It is no exaggeration to write that listening to The Police is the immediate cause of me reading Descartes, Jung, Koestler and, referencing Don't Stand So Close To Me, "that book by Nabakov". 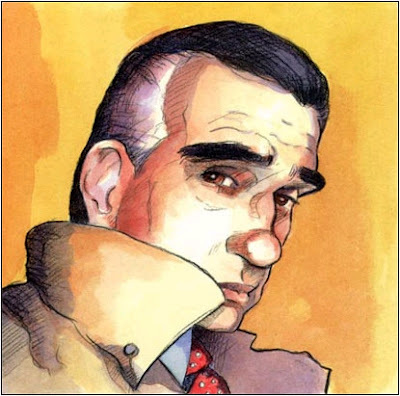 I am not and never was a Jungian or a Cartesian, and Koestler, while a very bright polymath, is a poor man's philosopher. However, as a fifteen, sixteen, seventeen, eighteen year-old these ideas and concepts fascinated me and opened my mind to a larger world and initiated me into the conversation. In fact, the first Latin I learned was from the title track of Synchronicity- "spiritus mundi"- the ancient philosophical concept, not entirely rejected by some Platonically-leaning Fathers of the Church- spirit of the world- not Satan, but a spirit, while not divine, animates the world, something like Gaia, which is a concept with very limited application, from where I stand, to the Christian faith, but not completely without value. Anyway, it should be cool. Happy birthday to my lovely wife, who turns 29, yet again, today. I love you! Today I read about two things that have stuck with me. The first incident occurred in Los Angeles, where the practice of "homeless dumping" is becoming widespread enough that it has grabbed the media's attention and that of law enforcement. Witnesses on Thursday reported seeing a paraplegic man dropped off on L.A.'s skid row. The man was wearing a soiled hospital gown and was holding a broken colostomy bag. Fortunately, the witnesses took the license plate of the van and reported it to police. As it turns out, the Los Angeles Times reports, the van belonged to Hollywood Presbyterian Hospital. This is disturbing beyond belief! This poor man was just dumped, unable to walk, with no food, clothing, or water, into the gutter. This did not occur in Calcutta, Bangkok, Pyongyang, but in L.A.! The second incident also occurred in California, in San Francisco to be exact. Noble Laureate and concentration camp survivor, a man who ranks right up there with Nelson Mandela, et. al. when it comes to advocating on behalf of the human rights of the oppressed, Elie Wiesel, was attacked by a man claiming to be a journalist. Wiesel, who is 78 years-old, and who has always been very accessible, despite his international fame, agreed to be interviewed by the man. Instead of being interviewed, Wiesel was attacked. The attacker fled when Wiesel began to loudly resist the attack. Later, police investigating the incident became aware of a posting on an anti-Semitic website by a man who claimed to responsible for the attack. Anyone who has read Wiesel's account of his experiences in his trilogy Night, Dawn, and The Accident will know how familiar with humanity's cruelty Wiesel is and how his life has been dedicated to telling the truth about it in the hope of reconciling people to each other. As Wiesel would be the first ask, were he to see these two stories side-by-side, who will tell the story of the paraplegic man? His story is important because we all matter, we are all human beings. Moving considerably beyond what Wiesel would say or write: we all bear the divine imprint, the imago dei. Further, we bear the image of the God who, for our sakes, became small. We tell the story, the truth, in order to make it known, in order to break our hearts, in the hope of bringing metanoia- a turn around. It often seems that our hearts must be broken before we are able to take on such outrages. Fr. Richard John Neuhaus, responding to correspondents complaining about the debate between Dr. Alyssa Pitstick and Fr. Edward Oakes, S.J., chronicled in Too good to miss, gives us an indication of how strongly some reacted by sharing an example, in which one correspondent wrote: "I don’t give a d— about Balthasar or what Catholics think is heresy". In God’s word for us today, He says, "It is not good for the man to be alone" (Gen 2,18). As a result, God set about creating a suitable partner for the lonely man. First, "the LORD God formed out of the ground various wild animals and various birds of the air," but none of these "proved to be a suitable partner for [him]" (Gen 2,18-20). So, God created from the man a woman and by so doing, at last, created for him a suitable partner. By this act, God, who is a communion of persons, shows us that one person is no person, that we need each other, and that we are created for communion. From this, the second of Genesis’ two creation stories, which also consists of the story that describes in literary terms humanity’s fall, we see that human beings were created in what can best be described as a state of grace. Originally, harmony existed between human beings and God, between the human beings themselves, and between human beings and nature. It is with the fall, their giving in to the temptation, in the words of the serpent, to "be like gods" (Gen 3,5), that this grace was lost, these harmonies disrupted, and communion broken. Our fall from grace was possible because God has created us as free persons. Being free is vital for the realization of God’s purpose in creating anything at all. It is necessary because we must be free in order to truly love God, to participate in the communion which is the very reason for our existence. Our Gospel today shows us in dramatic fashion that Jesus came to reconcile creation with its Creator, to restore the harmony, the communion that, once lost, is continually broken through sin. In this pericope from St. Mark’s Gospel, a Greek woman, who is a Syrophoenician by birth, comes to Jesus and, in her helplessness, throws herself at our Lord’s feet and begs "him to drive the demon out of her daughter." What is significant about her origin is that she is not an Israelite. It is the Israelites who are the children in Jesus’ simile. Therefore, he refers to gentiles as dogs. 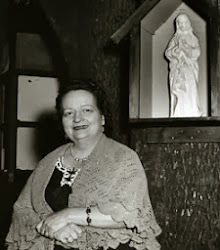 But, so helpless is this woman as regards her demon-possessed daughter, that she replies with words that are nothing short of a repudiation of the human pride that causes us to prefer ourselves to God: "Lord, even the dogs under the table eat the children’s scraps." These words of humility, even humiliation, bring forth Jesus’ compassion and "he said to her, 'For saying this, you may go. The demon has gone out of your daughter'" (Mk 7,27-29). It is because of our fallen state, which is so strong that it persists even after baptism, that we continue to bring about a recapitulation of the original sin, preferring ourselves, our own disordered desires, our own prideful beliefs to God. Our fallen state causes our reason to be darkened which is manifested most in what seems to us an innate tendency to misuse our freedom, which is so necessary to us realizing our end. Because of our continual disruption of the communion God seeks to bring about after the fall by the reconciliation of the world to himself through Christ, we still find ourselves, like the first man, alone. This loneliness, which seems to be increasing, despite the tremendous leaps in communications technology, is a tremendous source of alienation. This state of things highlights the need for Christians to live in and as communion. The Church, made up of all the baptized, constitutes the totus Christus, the total or complete Christ, animated by the Holy Spirit, with Jesus as our head, plays a vital role in reconciling the world to God in Christ. Despite all this we continue to feel a very strong pull to turn in on ourselves. Like the force of gravity, this pull, if we try to resist it entirely on our own, and exacerbate it by other unhealthy behaviors, can become irresistible. Hopefully, it does not take much turning in to show us that we are not as strong as we think we are and to convince us, like the woman in today’s Gospel, to put aside our pride, fall at the Lord’s feet and ask for his help, our table scrap of grace, which is better than the most sumptuous feast. If we are honest, we have to admit that sometimes our struggles get the best of us. This can lead us to the brink of despair, especially if we turn in on ourselves. Like the woman in our Gospel, we have to overcome our pride, the pride that causes us to think we are self-sufficient, the pride that causes us to think that if we just try harder we can prevail over forces that are much stronger than we are. We all know from our own experience that overcoming this pride is no easy thing. It is also something of which we are all guilty. We know, especially this evening as we gather with such heavy hearts, that despair born of loneliness and alienation can be lethal. Given our own failings, we must judge no one. 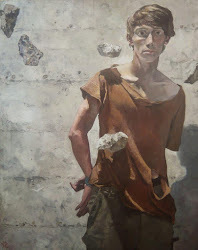 In cases of suicide, not being privy to the internal states of other people, we presume that in one struggling to overcome the gravitational pull of despair there is an absence of the conditions for full awareness and deliberate consent in choosing such a tragic course. Hence, without judgment and with faith in the God who is Love, we commend our dear brother to God’s tender mercy. "Even when we disobeyed you and lost your friendship you did not abandon us to the power of death, but helped us seek and find you. . .
"Father, you so loved the world that in the fullness of time you sent your only Son to be our Savior. He was conceived through the power of the Holy Spirit, and born of the Virgin Mary, like us in all things but sin. and to those in sorrow, joy. 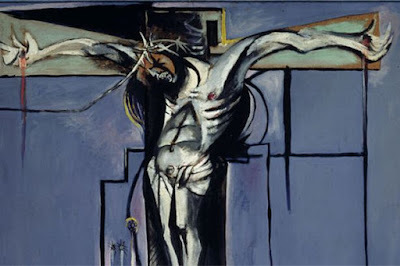 In fulfillment of your will he gave himself up to death, he destroyed death and restored life" (Eucharistic Prayer IV). With all this weighing on our hearts as we celebrate this Eucharist, this thanksgiving, let us be mindful that what we do here is an act of solidarity with each other. It is also an anticipation of and participation in that communion with God that is not merely a necessary part of human existence, but the very purpose for which we exist and the mode of our eternal existence. Before it drops off the front page,the invitation is still open. Thank you to those who have taken the time to respond. On this issue, I am posting the entire text of this declaration of His Holiness, Pope Benedict XVI, on the death penalty to a world congress on the matter in Paris, France. The emboldened paragraph is elaborated in my post The importance of understanding the diginity of human person. VATICAN CITY, FEB 7, 2007 (VIS) - Made public today was a declaration of the Holy See delivered during the course of a world congress on the death penalty, held in Paris, France from February 1 to 3. "The Paris congress," reads the French-language text, "is being celebrated at a time in which, because of recent executions, the campaign against the death penalty is facing new and disquieting challenges. Public opinion has become sensitized and has expressed its concern for a more effective recognition of the inalienable dignity of human beings, and of the universality and integrity of human rights, beginning with the right to life." As in previous meetings on the same subject, "the Holy See takes this opportunity to welcome and affirm once more its support for all initiatives that aim to defend the inherent value and inviolability of all human life, from conception to natural end. In this perspective, it is worth noting that the use of the death penalty is not just a negation of the right to life, but also an affront to human dignity." "The Catholic Church continues to maintain that the legitimate authorities of State have the duty to protect society from aggressors," but "some States traditionally include the death penalty among the means used to achieve this end," an option "that is difficult to justify today." States now have new ways "of preserving public order and people's safety," which include "offering the accused stimuli and encouragement" to mend their ways. Such non-lethal means of prevention and punishment "correspond better to the ... the common good and conform more to the dignity of the human person." "Any decision to use the death penalty involves many dangers," such as "that of punishing the innocent, and the temptation to foment violent forms of revenge rather than true social justice." It is also "a clear offense against the inviolability of human life ... and, for Christians, an affront to the evangelical teaching of forgiveness." "The Holy See," the text concludes, "reiterates its appreciation to the organizers of the congress, to governments, ... and to everyone who works ... to abolish the death penalty or to impose a universal moratorium on its use." Everybody feels the longing to love and to be loved. Yet, how difficult it is to love, and how many mistakes and failures have to be reckoned with in love! There are those who even come to doubt that love is possible. But if emotional delusions or lack of affection can cause us to think that love is utopian, an impossible dream, should we then become resigned? No! Love is possible, and the purpose of my message is to help reawaken in each one of you - you who are the future and hope of humanity-, trust in a love that is true, faithful and strong; a love that generates peace and joy; a love that binds people together and allows them to feel free in respect for one another. Let us now go on a journey together in three stages, as we embark on a "discovery" of love. The above is the very first section of the Holy Father's message for this year's 22nd Annual World Youth Day, which will be celebrated in dioceses on Palm Sunday. The next World Youth Day is in 2008 in Australia. 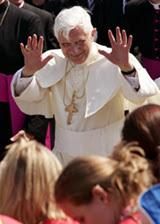 In his message, Pope Benedict builds beautifully on his encyclical Deus Caritas Est. As a young person myself, I found Pope Benedict's message very inspiring! Above is the coat-of-arms of Bishop John C. Wester joined with the coat-of-arms of the Diocese of Salt Lake City, where he is to be installed next month. We are eagerly looking forward to the day- Wednesday, 14 March 2007- when this crest will be placed over the cathedra and Bishop Wester is seated on this chair, established 27 January 1891 by Pope Leo XIII and first occupied by the Most Reverend Lawrence Scanlan. One thing I try to do and will work hard to continue doing in this forum is to focus attention on our local Church, which, as Fr. Langes Silva, JCD, our hard-working and very competent Judicial Vicar, writes in one of his occasional pieces on canon law in the life of the Church for the Intermountain Catholic, tells us, referencing canon 369, is "a portion of the people of God united by the Holy Spirit through the Gospel and the Eucharist, entrusted to a bishop for pastoral care, with the cooperation of the presbyterate. It constitutes a particular church where the one, holy, catholic, and apostolic Church is truly present and operative". The entire article, which is excellent, is entitled Diocesan Bishops and the New Code of Canon Law. Too often in this age of instantaneous global communication, we tend to diminish the local Church in favor of the global Church, the See of Peter. I am certainly prone to such privileging. Yesterday I wrote and uploaded a post on our parish blog entitled The deacon's office in which I relate what a truly wonderful experience it is to toil in the Cathedral's rectory, particularly in what was formerly Bishop Lawrence Scanlan's bedroom. After being kindly corrected by our diocesan historian and archivist, Dr. Gary Topping, about the details of the bishop's death, it dawned on me that it had been far too long since I had done any serious reading on the history of our local Church. With the recent kick-off of our three year Centennial campaign at the Cathedral and the rapidly approaching installation of the Most Reverend John C. Wester as the eighth successor of Bishop Scanlan, it seems an opportune time to remember this great pioneer. On page 104 of Salt of the Earth: The History of the Catholic Diocese in Utah 1776-1987, I re-read these words which my eyes had not passed over in more than 10 years. The words are those of then-Father Francis Clement Kelley, founder of the Catholic Church Extension Society and later the bishop of Oklahoma City/Tulsa. 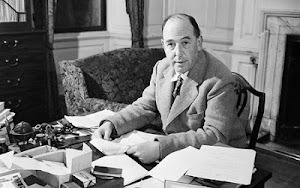 The passage is taken from his memoir The Bishop Jots it Down, published in 1938. This meeting took place, as Bishop Kelley's account makes abundantly clear, when Bishop Scanlan, after a life of hardship and sacrifice, was in decline. On the way to California I stopped off to see Bishop Scanlan of Salt Lake City. I can close my eyes and see him still, but his type exists no longer. It is a trite old saying that men are moulded by their environment. Bishop Scanlan was the living reproduction of the mountains, the plains, and skies of his field of long missionary labor. There was about not a sign that he had ever for a single minute permitted himself to forget the problem that was his. It had worsted him but he had not given up." Bishop Kelley continues with his observation "that battle was" Lawrence Scanlan's "natural element". Bishop Kelley continues his remembrance by fleshing out the description in accordance with his seeing in Bishop Scanlan something of his environment by writing: "His brows were tilted downward as if to shade his eyes from a desert sun. The eyes themselves looked as if they had appraised many men and found them wanting. He walked, even in the house, with the heavy tread of the mountain man. He spoke few but direct and plain words. His voice was not attuned to the niceties of diplomacy." He then relays that the Bishop Scanlan refused the money offered by the fledgling extension society saying, "It would only do us harm". He then expressed pessimism about the Utah Church's prospects by telling Kelley to give money to others "where there is hope". However, Bishop Kelley, even after relaying this bit of negativity, maintains a healthy, compassionate, and accurate perspective by stating that he "left Salt Lake City that night, not wishing to change the old man's mind even if I could." In Kelley's assessment, Bishop Lawrence Scanlan "was what hard toil and long service in a hard land had made him. Here he had taken up his burden and here he would lay it down. He had heard a Sermon on the Mount and would stay to practice what it taught as best he could. The grip of his hand when I left him told me that." Bernice Mooney then nicely summarizes the life of Lawrence Scanlan by quoting the words, "the life of a missionary is a slow martyrdom". But his life, in my view, is even better summarized by the words he no doubt heard from his Lord and Master, whom he served with all his heart, might, mind, and strength: "Well done, my good and faithful servant" (Matt 25,23). 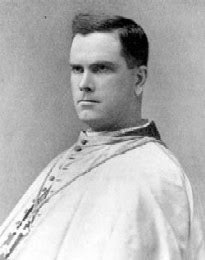 According to W. Paul Reeve, in his article Father Lawrence Scanlan Established Catholic Church in Utah, drawing heavily on the work of Robert J.Dwyer, writes about the death of Lawrence Scanlan, which occurred on 10 May 1915 "in the presence of attending sisters, Scanlan raised his cross to his lips, kissed it, and peacefully died. Fittingly, in honor of his last request, he was interred beneath the sanctuary of St. Mary Magdalene's, the cathedral he helped to build". For more readily accessible information on the life of Bishop Scanlan see Gary Topping's Bishop Scanlan and his The Human Side of Bishop Scanlan, both of which are installments in his on-going occasional series, From the Archives, on the Diocese of Salt Lake City's website. For further reading, which I intend to do, Dr. Topping informs me that the April 1952 issue of the Utah Historical Quarterly contains a biography of Bishop Scanlan written by Robert J. Dwyer. Dwyer, a priest of the Diocese of Salt Lake City, remains our only native son to become a bishop. However, he is the second priest of our diocese to be ordained a bishop. The first was Bishop Duane Garrison Hunt. Bishop Hunt was not a native Utahn, he came here as an adult and it was here that he converted to the Catholic faith. As a bishop Dwyer first led the Diocese of Reno, of which he was only the second bishop and which was created from territory taken from the Dioceses of Salt Lake City and Sacramento, before moving on to become Archbishop of Portland, Oregon. The title of the article is Pioneer Bishop: Lawrence Scanlan, 1843-1915, beginning on page 135 of volume 20. 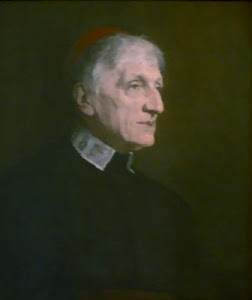 Archbishop Dwyer was himself a trained and active historian. You can read about him in Dr. Topping's Robert J. Dwyer and the Writing of Utah History in the Winter 2003 issue of the same publication. Since I don't write for a living (Okay, go ahead, applaud), I have no reason to refrain from pointing my readers to interesting things going on elsewhere. To that end, over on the First Things blog, Observations & Contentions, there is a conversation taking place between one of my favorite theologians and commentators, Fr. Edward Oakes, S.J., the nothing short of brilliant Stephen Barr, and a theologian with a bright future, a newly minted doctor of theology from Rome's Angelicum, Alyssa Pitstick. 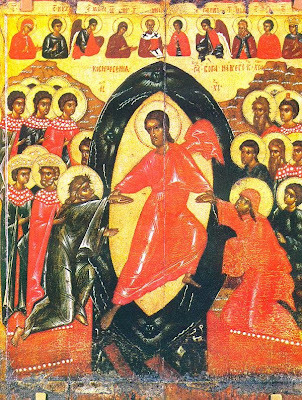 This follows closely on the heels of the disputation between Oakes and Pitstick about the main contention of Dr. Pitstick's doctoral thesis on Hans Urs von Balthasar, in which she, in no uncertain terms, accuses Balthasar of being a material heretic for his treatment of Christ's descent into hell. Her thesis has generated so much interest that Eerdman's has published it under the title, Light in Darkness: Hans Urs von Balthasar and the Catholic Doctrine of Christ's Descent into Hell. The recent dispute began with Fr. Oakes asking the question, Are Protestants Heretics?, which was followed by Barr's Reponse to Oakes on Protestants and Heresy, then by Pitstick's A Heretic Is as a Heretic Does and concluded, at least for now, with Fr. Oakes' On Heresy: A Final Word (Until the March Issue of First Things). So, we eagerly await the mailman in the next week or two. Following closely on the heels of my tribute on Friday to Hrant Dink, comes a very nice tribute by Rocco over at Whispers, entitled One Year On, to Fr. Andrea Santoro, who was murdered a year ago today in the Turkish Black Sea town of Trabzon. Hrant Dink's murderer, seventeen year-old Ogün Samast, also hails from Trabzon and is believed to be affiliated with the same radical nationalist group as the then sixteen year-old killer of Fr. Santoro. In recent years, Trabzon has become an important recruiting place for the Turkish ultra-nationalist movement. So, it is important to note that those responsible for these two murders and many other criminal activities that border on terrorism, are not radical Islamists, but radical Turkish nationalists, whose only affiliation with radical Islam is purely opportunistic, not to mention rare. They see in Islam one manifestation of legitimate Turkishness, but by no means the most important one They take their religious cue from a largely made-up pre-Islamic, pre-Christian, Anatolian religion. Put simply, they are fanatical Kemalists, dedicated to the mythical pure Turkish race, a racial theory, like that of the Nazis, based on pseudo-science and which has been the source of turmoil in the modern Republic of Turkey, that involves conflict not only with Christian Armenians and Syriacs, but Muslim Kurds, too. Hence, they are secular in orientation. The closest Western analog are Europe's neo-fascists. 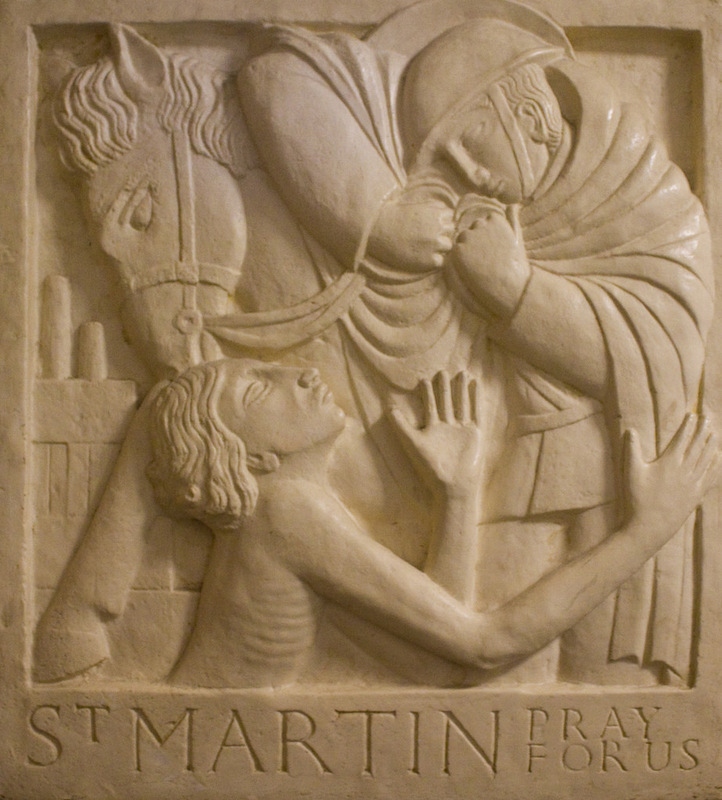 With all that, remember the martyr, Fr. Santoro, today and, as the Holy Father did in his homily at the Shrine of Meryam Ana Evi during his pastoral visit to Turkey, "the 'little flock' of Christ living in [the midst of Turkey], in order to offer a word of encouragement and to manifest the affection of the whole Church." As it has been awfully quiet on both the e-mail and comment front since just before Christmas, I find myself wondering, once again, who, if anybody, is reading Καθολικός διάκονος. Call it insecurity, vanity, curiosity, whatever. In all honesty, it is probably some of all those things, plus a few of which I am not fully conscious. I really have to write that what I most want to know is if the things I write about are of any interest to anybody, if they are instructive, or inspirational, infuriating, or, if, to borrow a phrase from Frederick Buechner, I am whistling in the dark. I am loath to put a counter on this blog, as it would only prove to be a distraction I do not need. Now, do not misunderstand, this is not a pathetic plea for affirmation- Okay, maybe it is, a bit. It is a request for readers to check in, and to sound off, to provide feedback of whatever kind you choose. Please do not waste your time commenting with anything that is inappropriate or uncharitable (Yes, I have received such comments- they are not posted, as I moderate comments). I am not above posting critical comments, or even making corrections should I err. After giving why I undertake this endeavor a lot of thought, I have concluded that it is worth doing for its own sake. 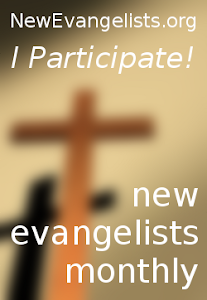 If nothing else, it is a bit of an electronic journal, a forum in which I can clarify and make linkages between faith and the world, as well as an aspect of ministry that I think, given the amount of time people spend on-line, is a vital one, which is why I post so much, fresh content being vital to anything you want people to visit frequently. As with most things, there is an overlap between my desire to continue blogging (I can keep a journal on my own) and the level of interest people have in reading what I am writing. Besides, there is the parish blog, which is a joint endeavor, to which I regularly contribute. This is a good time to discuss the distinction between this weblog and the The People of St. Mary Magdalene. It is quite simple; this blog is much more of a personal endeavor. It allows me to get more in-depth. It is where I can write in a more provocative and challenging way, giving my considered view on a number of issues, like Iraq, the environment, the death penalty, liturgical reform, Fridays as days of penance, inter-religious encounters, etc. I can also write about popular culture, post funny videos, etc. By contrast, the quasi-official nature of the parish blog causes me to be a bit more reticent about what I write and post. It is kind of like the difference between preaching and teaching. When I teach I can say things and engage questions I would not say or engage in the pulpit. I am not referring to heresy, dissent, or teaching off-the-wall stuff contra the Church. Those who come to classes know this is not the case. It is just that I can discuss issues in more detail because I can put what I say into context, give it the proper nuance, introduce the history and the current state of the question, etc. So, if you value this forum, please pitch in your (metaphorical) $.02, even it is just: Hey, keep doing what you're doing, or Please, for the love of God and all things holy, Stop! I am also interested in having readers share their favorite post or two. Sharing that will give me some good feedback and help me narrow the focus a bit. Energy Secretary Sam Bodman yesterday stated that the Bush Administration no longer doubts humanity's contribution to global warming. Speaking of the IPPC's report, Climate Change 2007: The Physical Science Basis, he said: "We're very pleased with it. We're embracing it. We agree with it". He continued with the acknowledgement that "Human activity is contributing to changes in our Earth's climate and that issue is no longer up for debate." This is good news. However, it turns out that the new approach of the Administration is really an old canard. It is the same one used when refusing to sign to the Kyoto Protocols. To wit, the new spin is that, while conceding human activity is contributing to global warming, the U.S. contribution to the problem is minimal. This willfully ignorant position is demonstrated by Bodman's comment, when referring to greenhouse gas emissions, that: "We are a small contributor when you look at the rest of the world". With a straight face, he followed this with the almost jaw-droppingly bold statement that "It's really got to be a global discussion". Is it true that we are a small contributor when it comes to emitting carbon dioxide into the atmosphere? By all accounts, the United States, with around 5% of the world's population, is responsible for one-quarter of the world's emissions of carbon dioxide and uses one-quarter of the world's crude oil. So, while Bodman is correct that there has to be a global discussion, it is also time for action, even unilateral action, which, on other issues, is this Administration's favorite kind of action. Besides, there was a global discussion. It took place in Kyoto, Japan. The discussion resulted in a treaty, which this Adminstration, skeptical at the time of the impact human activity was making on the environment, declined sign, or even to discuss again when the other signatory countries offered to renegotiate those parts of the treaty about which the U.S. expressed concern. In other comments, Bodman seemed to privilege the U.S. economy over the habitat we all share and on which we depend, an issue taken up in my first post on the matter, Stewardship, not devastation. He took the opportunity to reiterate the administration's opposition to mandatory caps on the emission of carbon dioxide, the release of which into the atmosphere is a by-product of coal-fired power plants and petroleum-fueled vehicles, as well as from other sources. Now, don't get me wrong, industry needs to be included in our national discussion about how to reduce emissions, but there is no way around mandatory limits that reduce carbon dioxide emissions and reduce them rapidly. We need to introduce these caps in a way that creates the least drag on the economy. 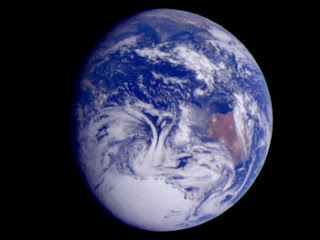 We must keep in mind that one of the key conclusions of the report is that, even if we eliminated green house gas emissions immediately, the effects of the amounts we have already expelled into the atmosphere will continue for a century and beyond, resulting in increased global temperatures, scarcity of fresh water, rising ocean levels, severe weather, etc. It seems a given that the increase in the number of violent storm, like Hurricanes Katrina and Rita from last year and events, like the tornado that killed 19 people in Central Florida early yesterday morning, are the result of rising ocean temperatures, caused by climate change, in turn, brought about by human activity. All my data for this post was derived from Reuters, specifically an article co-written by Deborah Zabarenko and Chris Baltimore.